Yesterday I went sailing with M_, D_, and M_ on his Olson 40. It kinda looked like this video (same type of boat, same area, not as fast, different people). We sailed into the SF bay passing through a race with sailboats coming on our port (left) side with spinnakers (big balloon like sails) set. M_ had spotted a $50e6 ~120′ carbon sailboat that he wanted to take a closer look at, so we tried to chase it and passed pretty close to it on a tack. Apparently “small — far away” needs to have a corollary: “close up — huge, small — really far away”. We then sailed past Alcatraz, listening to the music coming out of the city from the local bands and barking seals that would occasionally pop up a few meters of the boat and look around. As we passed under the Golden Gate—so named because it’s red? !—we were been followed by a big cargo ship. We passed almost under its stern although I’m sure that “really huge — not that close” kept us at a safe distance. Having passed the Golden Gate we found ourself being followed by 2-5 dolphins at pretty much all times. But enough about my tourism. A 40′ boat is somewhat complicated so I did not get to do much other than observe. I did get to drive for a few minutes at one point (actually while going under the Gate). Each operation required the cooperation of 3 people, alternatively 2 people working really fast, so I was limited by my ignorance (what is a Cunningham again?) to providing a bit of muscle when pulling (trailing) a clearly identified line and weight. M_—or was it M_?—suggested that I start sailing dinghies. Suggested a cheap place too. I was surprised how little it costs ($69 a quarter or $200 a year): Most of my expenses would be in transportation if I join that club. However, it may be cheaper just to get my own dinghy and sail in the local reservoir. 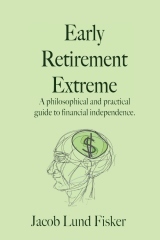 previous post: Has the relationship dynamics changed since my early retirement? 5 users responded in " Sailing weekend "
The Golden Gate Strait is the entrance to the San Francisco Bay from the Pacific Ocean. The strait is approximately three-miles long by one-mile wide with currents ranging from 4.5 to 7.5 knots. It is generally accepted that the strait was named “Chrysopylae”, or Golden Gate, by John C. Fremont, Captain, topographical Engineers of the U.S. Army circa 1846. It reminded him of a harbor in Instanbul named Chrysoceras or Golden Horn. The GGB is international orange. “trailing” should probably be “tailing” because you have the “tail” of the line. Unlike power boating, which takes literally no brains (dummy can just turn the key), sail boating requires at a minimum a week of training and to become proficient several years of experience. I would recommend OCSC in Berkeley, they have a good training program and are well respected. BTW, I’ve noticed that sailors tend to wear their life jackets more often (required for racing) and power boaters are way, way more likely to be drinking heavily (especially in the delta). The USCG website statistics show that powered boat accidents account for 2998 of the 3331 deaths in 2008; with “open motorboats” and PWC comprising a huge majority of those numbers. Driving fast around the tall delta reeds while chugging a Budweiser is a recipe for a hard crash. I’ve found that sailing in the South Pacific, Caribbean and the Med is a golden experience, and in my 50 years of memories, the last 10 with sailing are the very best. Give it a try. Oh, and OCSC has flotillas which are setup to group sail (several boats) in very beautiful places like Turkey and Greece. A fairly inexpensive vacation to stunning locals. Awesome Jacob, I am envious! I had a Santana 21 which I would take to Pyramid Lake and Lake Tahoe. The biggest boat I’ve been on is a MacGregor 26′ water ballast. Sailing is lots of fun and you are doing it the right way… riding on other people’s boats. Go into a marine store and look at the prices of boat parts and maintenance. If you think RV parts are expensive you are in for a shock. Boating is like the rest of life. If you follow the consumer crowd mentality, boating is very expensive. If you choose to invest some thought and work, there are alternatives. People have been sailing the oceans for a few centuries and they did not have self-tailing winches. I have a Santana 22 that I keep parked in Alameda. It’s really not that expensive. There is no upper bound on the money you can spend on sailing, but you can do it on a fairly modest budget if you want to. I actually got my boat for free. I spent a few thousand dollars fixing it up, but I could have spent much less if I wanted to spend more time on doing more myself. Svendsen’s boatyard in Alameda charges $102/hr for labor. Also, keeping a boat parked in the water in the bay is expensive. I pay almost $150/month for my slip. Alternatively, you can sail for free by knowing the right people, or you could probably even volunteer for something like the Bay Area Society of Disabled Sailors. Just found your site. Looks interesting, I’ll browse around some.